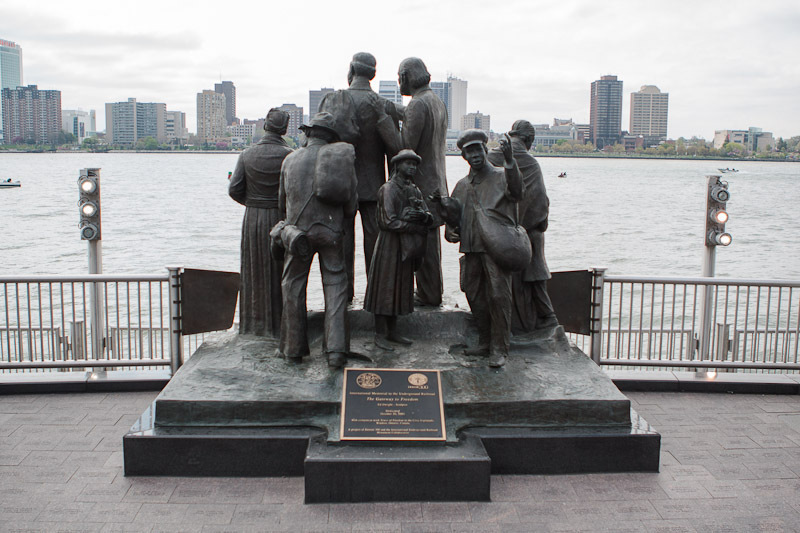 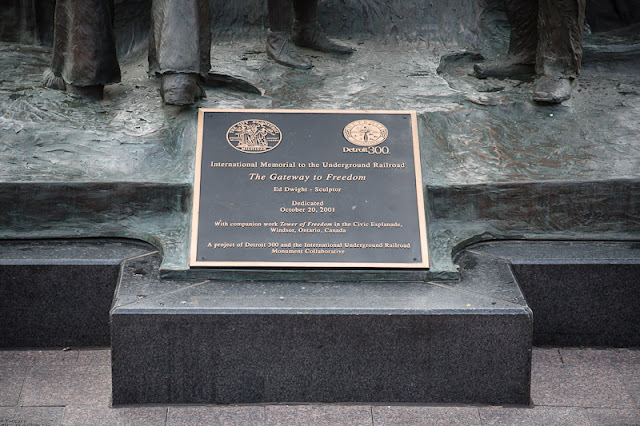 The missing bronze plaque dedicating the "Gateway to Freedom" sculpture in Hart Plaza has been repaired and re-installed. 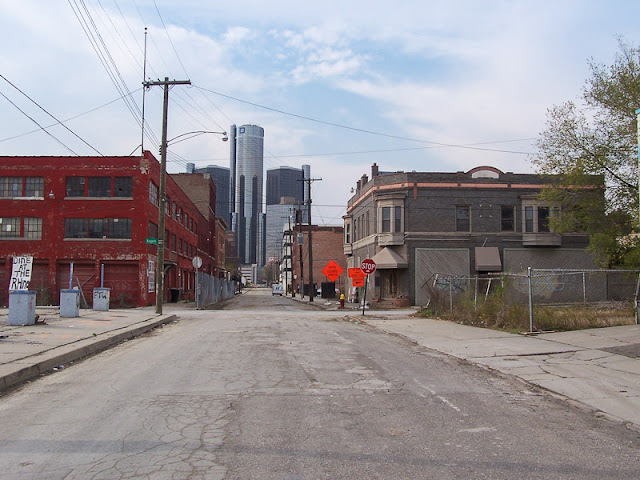 The plaque was removed by the Detroit Recreation Department after it was damaged by scrappers trying to steal it in 2010. 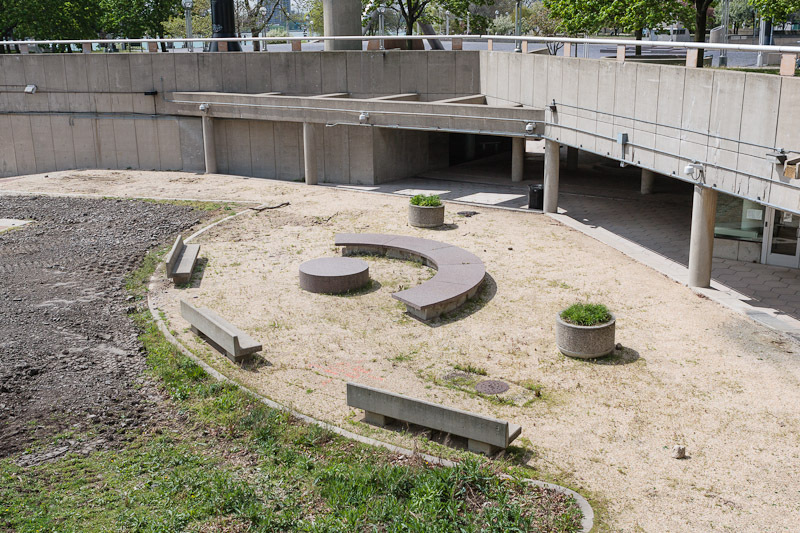 It had been replaced with a construction barrel until recently. 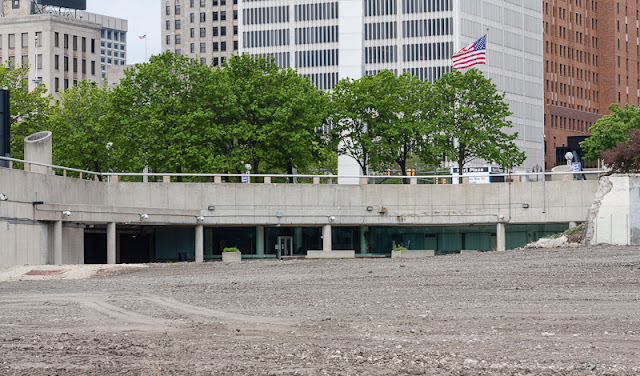 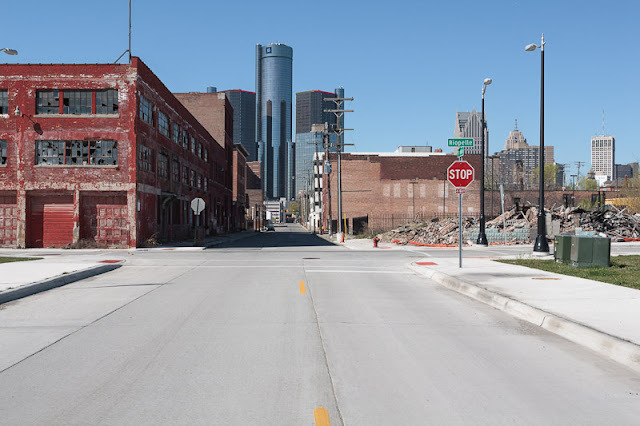 What will the ultimate fate of the Ford Auditorium site be? Mayor Bing would like to build a permanent outdoor amphitheater at the location and bulldoze Chene Park for redevelopment. 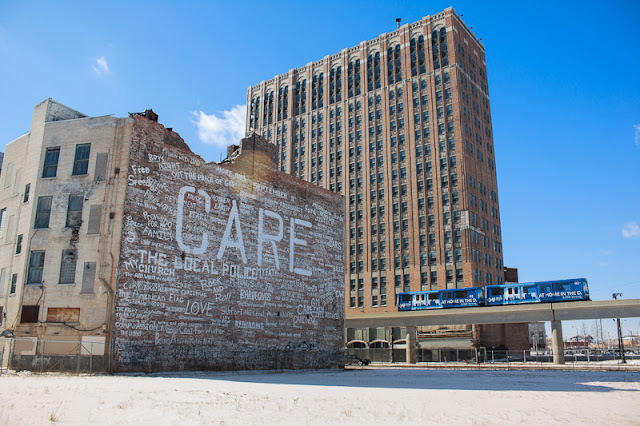 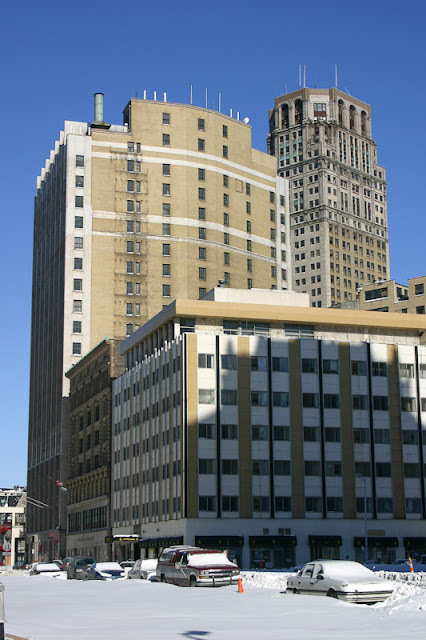 Obviously, a funding source would have to be secured first and given the current state of the city, that proposition does not seem very likely this decade. 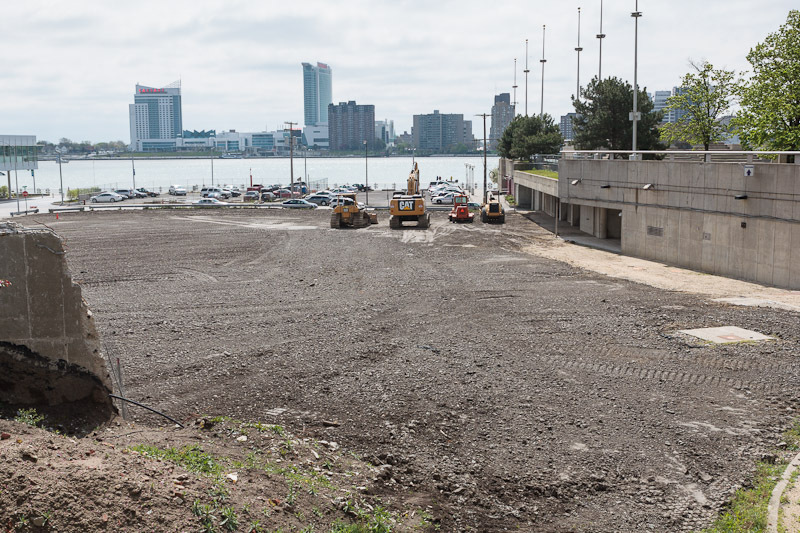 In the meantime, it has been revealed that the Detroit Jazz festival would like to expand their footprint on the riverfront by erecting a temporary stage on the site. 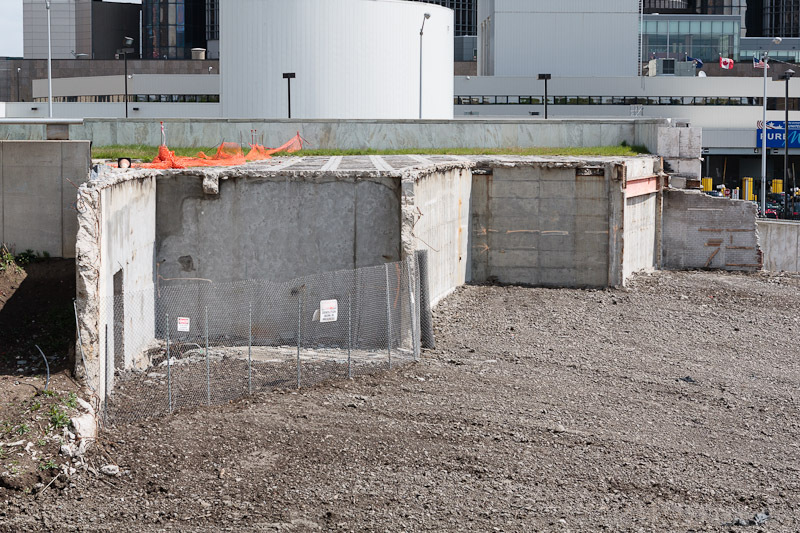 This would be contingent on whether the city can convert the grounds to green space in time. 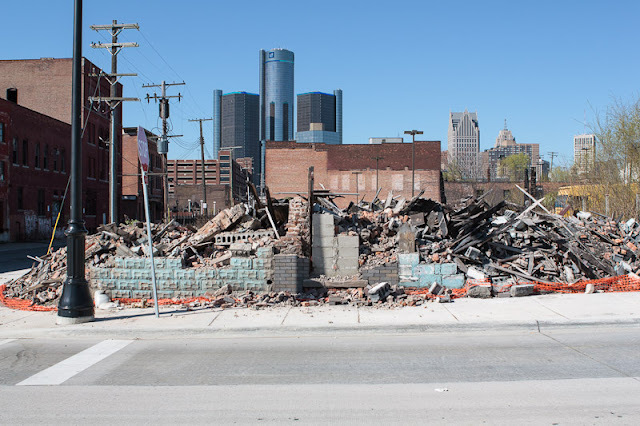 Some work has already begun.